The Association of Marina Industries represents a diverse membership of over 1,000 marinas, boatyards, yacht clubs, public/private moorage basins, partner associations, and marine industry vendors and suppliers across the United States and around the world. Join us in Fort Lauderdale for the 2019 International Marina & Boatyard Conference! IMI, or the International Marina Institute, is a subsidiary of AMI and is the global leader in training and certification for marina professionals. Under the auspices of AMI, IMI coordinates the only internationally recognized certification program for marina managers, offering a wide range of training and networking opportunities. IMI provides this training exclusively in the US, and by authorized franchise partners outside of the U.S. Starting March 2019, members of the Club Management Association of America (CMAA) may earn Continuing Education Units toward their CMAA certification and Certified Marina Manager designation by attending the Association of Marina Industries (AMI) professional marina managers courses. For more. The Association of Marina Industries (AMI) elected its 2019 officers and directors at its annual International Marina & Boatyard Conference (IMBC). For more. The International Marina Institute (IMI), the training arm of the Association of Marina Industries (AMI), held its award ceremony for new Certified Marina Managers (CMMs) and Operators (CMOs). For more. 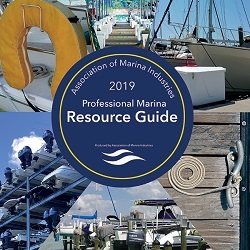 The Marina Policy Guidelines Manual offers marina owners and managers a guide to implementing policies that will professionalize the management of your marina. Written by Carl Wolf CMM, CMI of Robson Forensic, the Manual provides policies covering adminstration, marina operations, markting, finanacial controls, and maintenance, as well as safety, security and environmental issues. The International Marina Institute (IMI), is working with our affiliate partner Boating BC Association to bring our much sought after Intermediate Marina Management (IMM) Course to Nanaimo, British Columbia, December 2-6, 2018. Nanaimo is located on the east coast of Vancouver Island. For more. The International Marina Institute (IMI), a subsidiary of the Association of Marina Industries (AMI), is offering a one-day Hurricane Preparedness and Recovery Conference on Monday, October 29, 2018 in Miami, Florida. This conference will be followed by a one-day Marina & Boatyard Study Tour on October 30, 2018 in the Miami area. For more. Washington DC - AMI recieved the American Boating Congress Ambassador Award, which is given to the ABC Co-Host who has the most significant promotion of the American Boating Congress. For more. 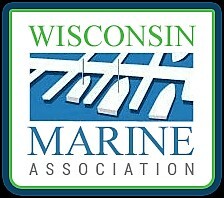 The International Marina and Boatyard Conference released a call for presenters. Submit your proposal to speak today! IMBC is scheduled for January 23 - January 25, 2019 at the Broward County Convention Center, Fort Lauderdale,FL. For more. This year AMI is conducting a "Cost of Doing Business" Survey, the first since 2000. It asks marinas to submit key financial data, so AMI can report in-depth on the health of the marina industry. Marinas that complete the survey will receive 50% off the final Cost of Doing Business Report. For more information.